Marilyn Monroe is such a legend. What can one say about her that hasn’t been said before? And yet she absolutely has to feature on any website about movies and fashion. So my angle here is to compare the photos and accounts of two different photographers. 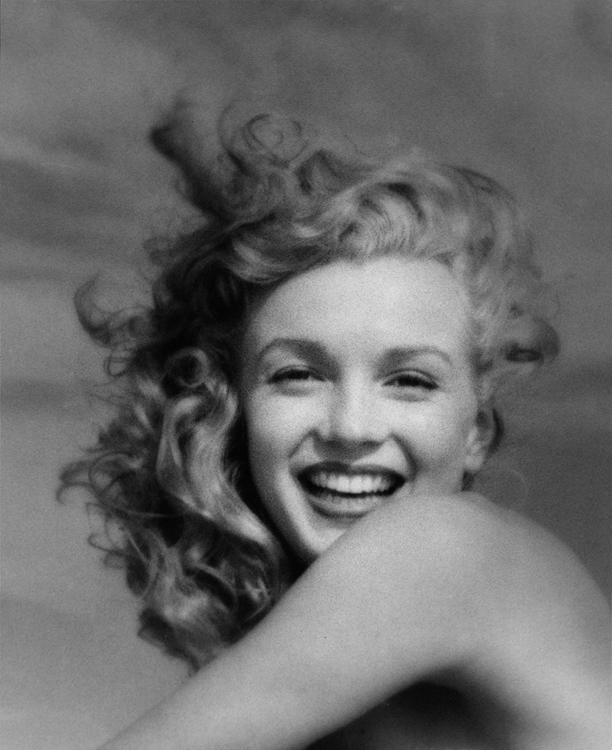 André de Dienes captured Marilyn as Norma Jeane at the beginning of her career (she adopted the name Marilyn Monroe in 1946 but didn’t change it legally until ten years later). 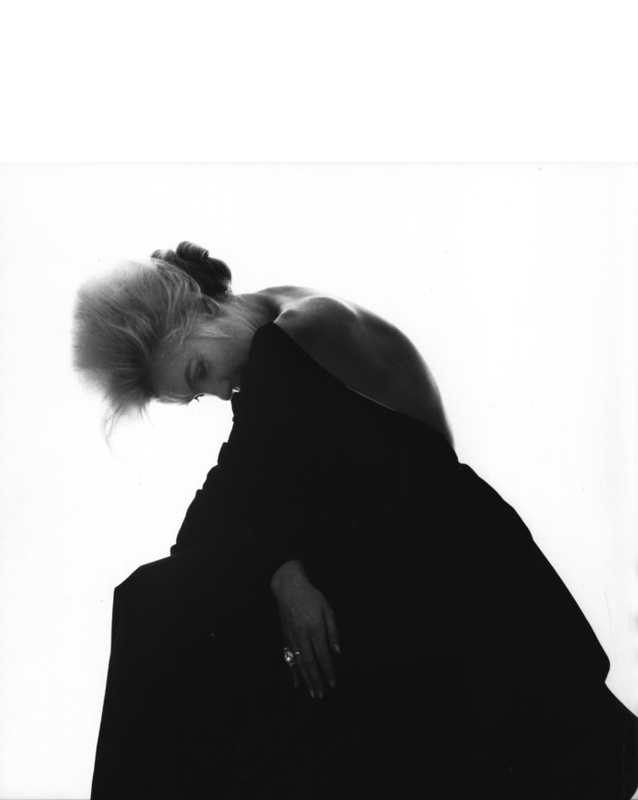 Bert Stern took some of the last photos of her in 1962, six weeks before her death. The expressions and smiles are miles apart – the touching candour of 1945 has given way to a more calculated allure in 1962. We were hardly on the outskirts of Los Angeles when the police patrol stopped me for faulty driving. Norma Jeane was sitting close to me and the policeman might have felt jealous! She felt very indignant. In her sweet voice she riposted to the policeman that he was a crook and that we had done nothing wrong. The man, part seriously and part joking, said to Norma Jeane that if she cared to stay there for the night he would not make us pay the fine. I paid twenty dollars and we continued the trip. That was only the first proposal she got on that trip. Amazingly, at various places we stopped, people began proposing to her. A garage mechanic said he would give his left arm if she should stay and become his wife. A miner in the mountains said he wanted her and would give her everything he had. A young farmer said he was looking for a woman of her beauty! The owner of a motel proposed to her! And the haberdasher where I stopped to buy her jeans went nearly out of his mind wanting to see Norma Jeane try on various garments in the little dressing closet. Like a magnet, she attracted all men! Not surprisingly, both André and Bert fantasised about photographing Marilyn naked – the former couldn’t bring himself to do so, but the latter could and did. On the other hand, André became Marilyn’s lover, Bert couldn’t bring himself to do so. 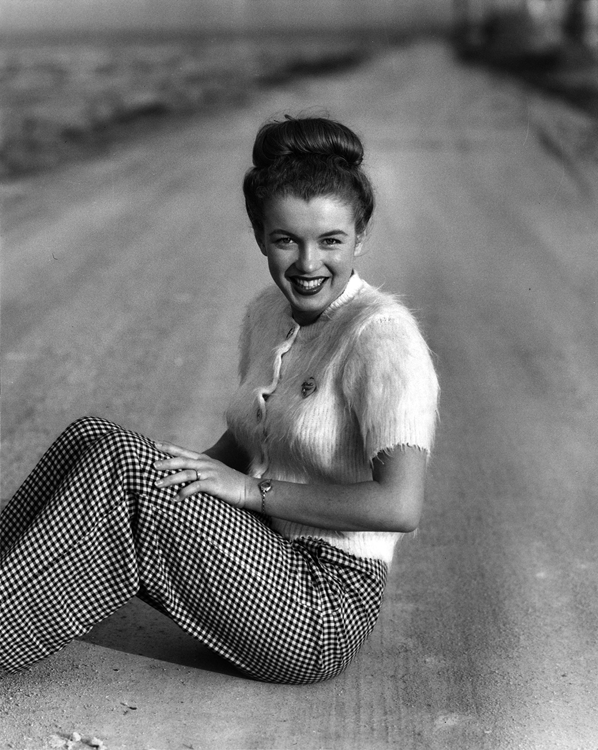 The body language is so different – there’s a beguilingly shy nonchalance about Norma Jeane in 1945. In 1962, Marilyn looks raddled, exhausted but infinitely more beautiful. She’s like some kind of tragic heroine. The second agent, Emmeline Snively, announced that there was a very pretty girl in her office, waiting for her first modelling assignment and promised to send her around right away. 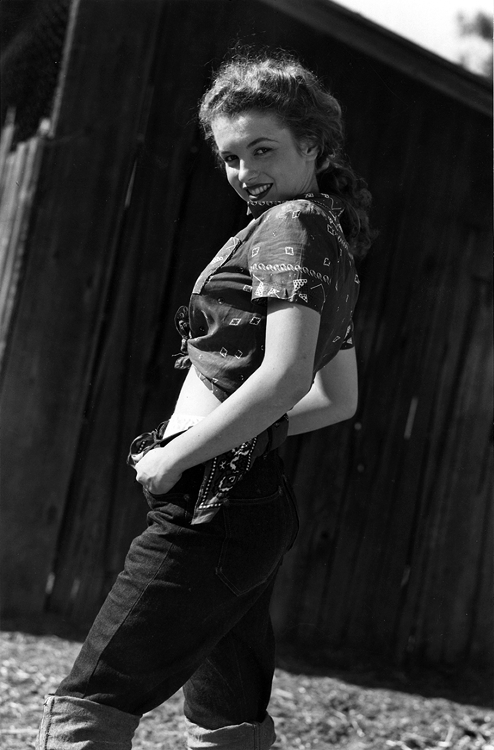 Later that afternoon, Norma Jeane, 19 years old, arrived at André de Dienes’ bungalow. I came straight to the point in our conversation, asking her whether she would like to come to travel with me. We would would go by car to explore the Vast West, and take pictures everywhere – – glamour photos for magazine covers, and nudes, too! I had a stack of large enlargements of photos I took of movie stars the year before, and some nudes, and Norma Jeane looked through them with great approval. She was excited, and wanted to pose for me. And she asked “Would you like to see my figure?” In a jiffy, she grabbed her hatbox, went to the adjoining room (the bedroom) to put on a bathing suit, and smiling, beaming with happiness, she swirled around the center of the living room, happy to be able to show me her beautiful figure. A day later, I took her to the beach to take pictures of her, and again and again I photographed her each day. My mind was made up for sure; I wanted to take her away from Hollywood right away on a long trip. Just go with her anywhere, everywhere! I felt completely enamored by her. By the time Bert encounters Marilyn ten years later, she’s already a star. It will be another seven years before he photographs her for Vogue. She’s sitting in both shots, but the postures speak volumes. In 1945 Norma Jeane is energised, ready for the next adventure. In 1962 Marilyn is exhausted, with the weight of the world on her shoulders. The first time I saw her was at a party for the Actors Studio, in New York City. It was 1955. 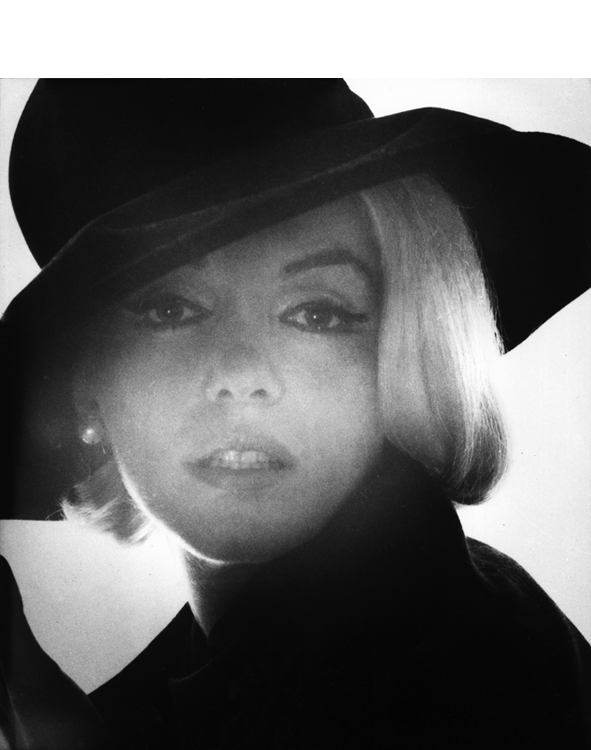 A friend and I had been invited, and when we walked in, there she was: Marilyn Monroe. She was the center of attention. All the men were around her, and all the light in the room seemed focused on her. Or was the light coming from her? It seemed to be, because she glowed. She had that blonde hair and luminous skin, she wore a gleaming sheath of emerald green paint. “Look at that dress,” I said to my friend. “I hear they sew her into it,” he said. How would you get her out of it, I wondered, with a razor blade? I’d laid eyes on Marilyn Monroe only moments before and already ideas about taking her clothes off were going through my mind. I walked toward her, not with any intention of speaking to her, just in a trance of pure attraction. I had about as much control over myself as a moth flying around a candle. I wasn’t more than three or four feet away when she turned and smiled in my general direction, her dress shooting green stars. I was dazzled. I didn’t question why she would be smiling at me. At that instant I fell under her spell. It was a moment I wanted to go on forever. I’ve drawn heavily on two main sources. The first is Photo De André De Dienes, a reproduction of André’s notebook. It’s currently out of print, but an edited version is available as André de Dienes. Marilyn Monroe. 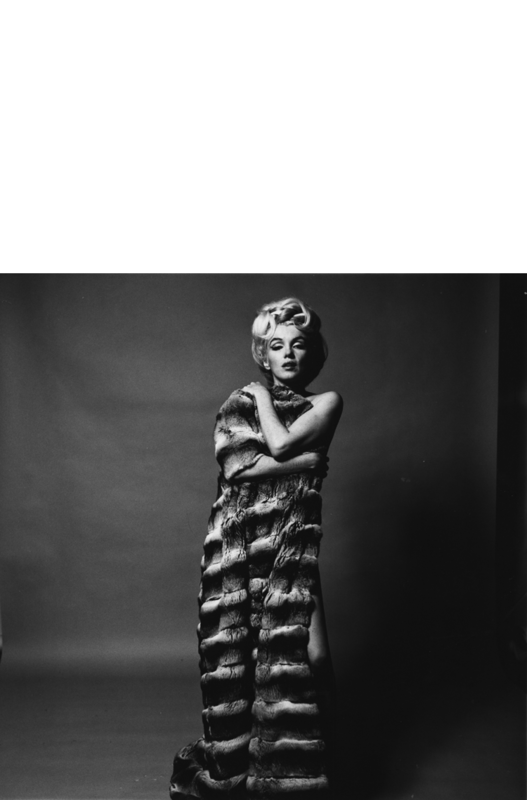 My second source is Bert Stern: Marilyn Monroe: The Complete Last Sitting. 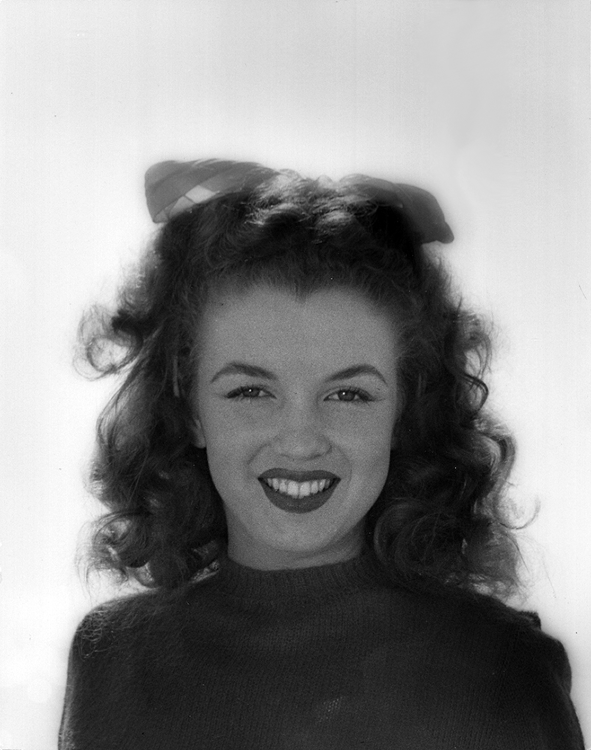 By 1949, Norma Jeane is playing the part – she knows just how to dazzle with her smile and is evidently relishing the experience. In 1962, she’s playing the part again – but who knows what is going through her mind?